A nuclear energy development program between China and a U.S. company has become the latest casualty of the Trump administration’s hostility toward Beijing over technology and trade. The project involving the American company TerraPower LLC and state-owned China National Nuclear Corp. (CNNC) will “not proceed” with plans to jointly build a demonstration traveling wave reactor in China, a representative of TerraPower confirmed to Caixin on Friday. TerraPower is a company cofounded by tech tycoon and philanthropist Bill Gates. It signed an agreement with CNNC in 2017 for a joint venture to test a TerraPower-developed technology known as a traveling-wave reactor in a northern Chinese city. Such technology uses depleted uranium as fuel to improve safety and reduce costs. The confirmation came after Gates first posted the development in an essay late last week, saying that “recent policy changes here in the U.S.” have made the nuclear energy project in China “unlikely” to proceed. In October, Washington imposed new restrictions on nuclear exports to China, alleging that Beijing was seeking to illicitly acquire the technology to bolster its military and undermine the U.S. industry. A National Security Council-led review found evidence that China was accelerating efforts to “illicitly gain the technology” for both military and commercial use, including on islands in disputed waters in the South China Sea, for floating nuclear power plants with the potential for rapid deployment, and for aircraft carriers and submarines, according to The Wall Street Journal. China was also found to be improperly diverting U.S. nuclear technology to other countries. TerraPower was founded in 2008 and has been developing the traveling wave reactor technology for a decade. 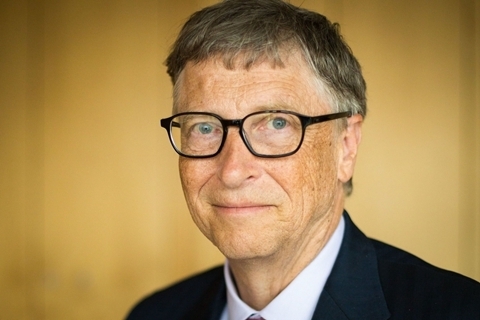 The company has not been able to test the technology in the U.S. because of nuclear regulatory restrictions, Gates wrote in the essay. 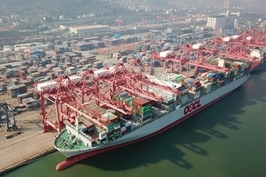 The October policy change dealt another blow to China’s ambitions to become a tech powerhouse and came amid rising trade tensions between the world’s two largest economies. 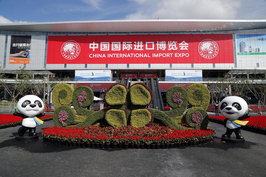 President Xi Jinping in November vowed to “firmly punish behavior that encroaches on the lawful rights and interests of foreign companies, particularly intellectual property-rights infringements,” adding that the government will introduce a “punitive compensation institution” to “sharply raise the legal costs” of violating intellectual property rights (IPR). Following Xi’s meeting with President Donald Trump in Buenos Aires in December, Beijing announced a campaign involving 38 state agencies to coordinate efforts in clamping down on IPR theft.